On Monday morning, the Supreme Court toppled Texas' HB2 law, giving pro-choice women from Texas reason to celebrate. The state's traditionally ultra-conservative government renders progressive legislation few and far in between, putting socially liberal women at a disadvantage. In response, some women are expressing pride for their state's progress, while others still believe there's a far way to go. The most high-profile voices include those of Planned Parenthood President Cecile Richards and former Texas Sen. Wendy Davis. According to the Center for Reproductive Rights, the law would have forced at least nine abortion clinics in the state to close. Before the law passed in October 2013, about 40 abortion facilities were available to Texas' 5.4 million women of reproductive age. Two years later, there were just 19, meaning if HB2 had stood, there'd be only 10. Since most were available in larger cities, the law discriminated against rural and low-income women who couldn't afford the drive. Now, those remaining clinics have been relieved of what has been deemed an "undue burden" to meet hospital operating room standards. And that's great news for Texan pro-choice women. 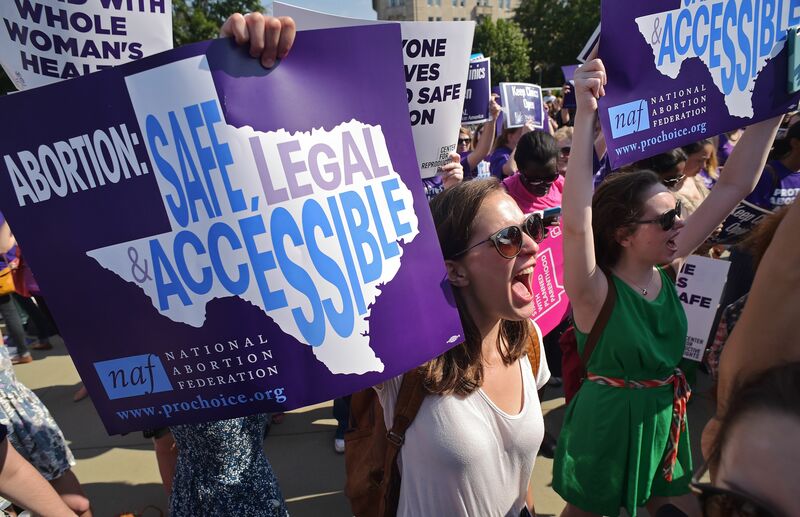 These Twitter responses from Texan women show just how huge of a victory the ruling proved to be, but also suggest there's much more work to be done nationwide. The fight simply cannot stop short in Texas. We are extremely pleased with the Supreme Court's decision. But the fight to protect abortion access isn't over. State legislatures around the country have passed hundreds of anti-abortion measures since 1973 and Texas lawmakers have been responsible for more than 18 of those. Amy Hagstrom Miller, founder and CEO of Whole Woman's Health, also released a statement expressing high hopes for the future. After years of fighting heartless, anti-abortion Texas politicians who would seemingly stop at nothing to push abortion out of reach, I want everyone to understand: you don't mess with Texas, you don't mess with Whole Woman's Health, and you don't mess with this beautiful, powerful movement of people dedicated to reproductive health, rights, and justice. This dangerous law never should have passed in the first place — which is why we need to elect leaders who will champion women's health and rights. Texas has become a cautionary tale and an example of what could happen in all 50 states if Rick Perry, Scott Walker, Jeb Bush and other Republican contenders have their way. Though it's a step in the right direction for pro-choice women, there's still a long road ahead for states like Mississippi and Alabama, who also have extremely restrictive abortion laws.